Heather Zahn Gardner is the owner and full-time reviewer of Fire and Ice. She runs the twitter, facebook, tumblr, youtube and google + pages. She also manages the review requests that come in from authors and publishers. She has a BS in psychology from Brigham Young University and has been writing and taking pictures as a journalist since junior high. Heather owns her own photography business and has five children. She is politically active in grassroots efforts to protect special needs, family, education and parental rights. Heather believes in upholding and defending the Constitution. She worked in the social work field for many years and served a full-time mission for The Church of Jesus Christ of Latter-Day Saints to Santiago, Chile. 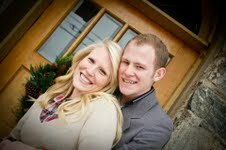 In her free time, Heather enjoys reading, traveling, music, triathlons, road biking, family history and time outdoors. She loves meeting new authors and working with them to create book trailers, covers, author photos, and interviews. You can often find her on Pinterest,, Instagram, or Etsy. Heather has been judging the Whitney Awards since 2010 and was a committee member for the 2014 Whitney Awards. She was elected in 2014 as a delegate and 2015 as a County Vice Chair in the Republican Party. 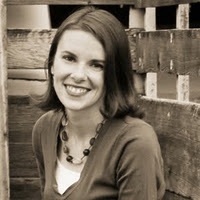 Danielle Thorne– freelanced for online and print magazines from 1998 through 2001, adding reviewing and editing to her resume. She has published poetry, short fiction and novels. Danielle is the author of sweet romantic adventure books, both historical and contemporary. Other work has appeared with Espresso Fiction, Every Day Fiction, Arts and Prose Magazine, Mississippi Crow, The Nantahala Review, StorySouth, Bookideas, The Mid-West Review, and more. She won an Honorable Mention in Writer’s Digest’s 2006 annual writing competition and won the 2008 Awe-Struck Short Novel Contest. 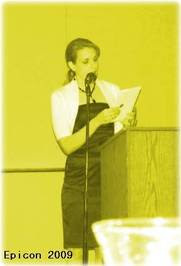 In 2009, Danielle won Classic Romance Revival’s Work in Progress Contest, which resulted in another contract for her fiction. Danielle currently writes from south of Atlanta, Georgia. 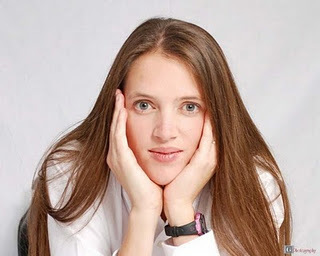 She was the 2009-2010 Co-Chair for the New Voices Competition for young writers, is active with online author groups such as Classic Romance Revival and EPIC, and she moderates for The Sweetest Romance Authors at the Coffee Time Romance boards and Goodreads. Besides contract editing and writing full time, Danielle has four sons with her husband, Rob. Together they enjoy travel and the outdoors. Aimee Hone- is a lover of books and has passed on her insatiable need to read to her four children. Her passion for books is evident in her work as a Recreational Therapist and by the overflowing bookshelves throughout the house. She has recently moved to Sandy, Utah from sunny Florida. While she misses reading in the sun by the pool, curling up in a warm blanket with a good book during a snowstorm holds its own charms too. Jodi- I am married and have three wonderful little boys! The boys keep my husband and me very busy, but we have lots of fun! I am a Reading Specialist, and I love my job. I am an avid reader and feel very fortunate to be able to share my love of reading with my students! Fire and Ice is sad to announce that Mary passed away in 2013. Mary Walling- M. L. (Mary Lee) Walling is an aspiring author in Naples, Florida. Mary has been writing since 2011 with her first release “Me, My Family and God ” on 12/2011. She has since released “A Still Voice”, “House of Mystery”,and” House of Misery”. She also reads and reviews children’s books. Mary attended Brewster Adult Technical School in Tampa, Florida where she became a licensed cosmetologist. Later she attended CTC in Killeen, Texas where she obtained certification as a Medical Secretary. She worked for twenty years as a Health Insurance Specialist and had her own insurance billing service for several years. Mary left this business and to become a stay at home grandma and take care of her grandchildren. It was at this time that she took up writing again with the encouragement and mentoring of authors she met through a website. Mary writes about personal spiritual experiences and the effects and blessings they can have on others. She also writes mystery/suspense novellas. Mary lives in Naples, Florida with her husband, three daughters, five grandchildren and one son in law. Debbie CranberryFries– I like cranberries and french fries (but not necessarily together). I like the rain, green gum, reading!, volleyball, cheesecake, and Xbox. I’m not a fan of car repairs or a ringing phone. I love movies (watching, trivia, quoting), eating out with friends, and meeting new people. I have been married for 9 yrs and have three small children. I have a Bachelors degree in Marriage, Family and Human Development with an emphasis in Marriage Enrichment. I enjoy being active in the community, volunteering at my kids school, and being a member of the PTA. I am Alacia! I am 22 years old and love all sorts of things: Summer time, the beach, nail polish, babies, strawberries, weddings, and most of all my husband Alan! I have been married for one year, our anniversary falling on April Fool’s Day! Alan got me a Kindle for Christmas, thus reKINDLEing (haha) my love for books and reading! Nothing beats laying in the sun on a nice day, with a glass of lemonade and a good book! When I am not home cooking dinner and watching The Office with my hubby, I love boutique hopping with my mom and sister and looking for ways to help uplift those around me with service and love! Tina Everett– I am a mother of three energetic children. I enjoy reading, scrapbooking, crafts, playing with my children, and enjoying the great outdoors. When I am not being a mom, I am a full time pharmacist. I am grateful for the opportunity to help review these books and share my opinions with others.